1. The information collected by TRIPRANGODE SIVA TEMPLE. 2. Communications from TRIPRANGODE SIVA TEMPLE. 3. How information collected by TRIPRANGODE SIVA TEMPLE is used. 6. Use of the TRIPRANGODE SIVA TEMPLE’s website by Person who is below the age of 18. 1. Information Collected by TRIPRANGODE SIVA TEMPLE: We will not knowingly use information collected on this website to others in ways different from what is disclosed in this statement. TRIPRANGODE SIVA TEMPLE collects information from our users at several different points on our website. For purposes of this Privacy Statement, "Personally Identifiable Information" refers to information that can directly identify an individual; for example, such information may include an individual's name, mailing address, phone number or email address. 1.1 Information that is automatically collected: We use IP addresses, with the help of a business partner, to analyze trends, administer the website, track users' movements, and gather broad demographic information for aggregate use. IP addresses are not linked to Personally Identifiable Information. 1.2 Information that is collected by Cookies: A cookie is a piece of data stored on a user's hard drive containing information about that user. By setting a cookie on our website, the user would not have to log in with a password more than once, thereby saving time while on our website. If a user rejects the cookie, they may still use our website. The only drawback to this is that the user will be limited in some areas of our website. Cookies can also enable us to track and target the interests of our users to enhance the experience on our website. 1.3 Information that is actively submitted to TRIPRANGODE SIVA TEMPLE: Registrations and Orders: In order to donate online or order services from this website, a user must create an account and complete a registration process. During the account creation process, a user must provide contact information (such as name and email address) so that we can stay in touch with our users. This information is also used to fulfil order and registration requests. To donate online or for other service ordered, a user must provide contact information (such as name and shipping address) and financial information (such as a credit card number and its expiration date). This information is used for billing purposes, with the help of our service provider (the bank which is providing us the payment gateway facilities), and to fill users' orders. 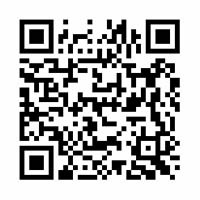 If we have trouble processing an order, this contact information is used to get in touch with the user. 1.5 Information TRIPRANGODE SIVA TEMPLE Obtains from Third Parties: Presently website is not collecting user information from third party. Only in case of Payment Gateway, the bank (who so ever provides the payment gateway services for online transaction) collects very critical information like Credit card or debit card number, Expiry date of credit card or debit card, Credit card or debit card holders name, amount deducted from their credit or debit account and any other relevant information which is must for online transaction. These information are collected by payment gateway service provider and these information along with your contact information may stored with payment gateway service provider. TRIPRANGODE SIVA TEMPLE stores your contact information and amount you donate or pay for various services or products. The payment gateway service provider sends the transaction number to TRIPRANGODE SIVA TEMPLE website on completion of payment procedure along with status of transaction (like success, cancel or error). A. On Successful transaction of payment: In case of successful transaction of payment for donation, services or product the user will inform accordingly. The details will also inform via email (if proper email address provided at the time of payment). The amount will be deducted from user's respective bank and credited in the account of TRIPRANGODE SIVA TEMPLE account. B. On Cancel of transaction of payment: If user cancels the transaction in middle of the process, the details are stored in the database and transaction of record generated mentioning that user has interfered in middle of transaction and cancels the transaction. In case of cancellation of transaction, it is possible that server might have already completed transaction and user may get the report of transaction late. In that case: If transaction is for donation cancellation of order is not possible. If transaction is for services or purchase of product then user has to enter cancellation of order procedure. This is possible by user to enter in their account by user-id and password and selecting the order which is required to be cancelled. If order is already processed (for example book is already sent or services are already enjoyed) then cancellation is not possible. 2. 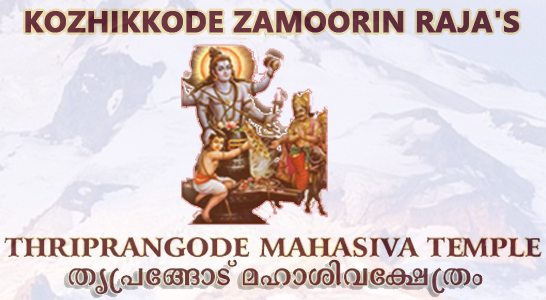 Communications from TRIPRANGODE SIVA TEMPLE: Welcome Emails and General Correspondence. We send a welcoming email to the email address associated with the account a user has created to verify the users password and username. This process is designed to prevent e-mail addresses from being used without permission in the creation of a TRIPRANGODE SIVA TEMPLE account. Established users will occasionally receive information on products, services, special deals, and a newsletter. Out of respect for the privacy of our users we present the option to not receive some of these types of communications. Please see our opt-out options below. Site and Service Updates-We send the user website and service announcement updates. Users are not permitted to unsubscribe from service announcements, which contain important information about the website and/or service. We may communicate with users to provide services that users request or to discuss issues relating to their account. Surveys & Contests-From time-to-time our website requests information from users via surveys or contests. Participation in these surveys or contests is completely voluntary and, as such, the user has a choice whether or not to disclose this information. Information requested may include contact information (such as name and shipping address), and demographic information (such as zip code, age level). 4. Correction/Updating Personal Information: Users must provide accurate and correct contact information (name, postal address, e-mail address, phone number) etc. On providing wrong information if we are unable to process your request, then we are not at all responsible for the act. We provide services and product only if you provide the correct information. Due to wrong information product may not reach to your destination in time or sometime not reach at all. In that case, TRIPRANGODE SIVA TEMPLE is not responsible and has no legal rights to provide required services or refund your amount whatsoever. 7. Linking to Third Party Websites: This website contains links to other websites. Please be aware that we are not responsible for the privacy practices of such other websites. We encourage our users to be aware when they leave our website and to read the Privacy Statements of each and every website that collects Personally Identifiable Information. This Privacy Statement applies solely to information collected by this website. 8. Users Must Keep Their Passwords Private: Users are required to keep their account passwords confidential and do not share this information with others. If you choose to reveal or share your password and TRIPRANGODE SIVA TEMPLE account name, we are unable to guarantee the security of your account. 9. Changes to Our Privacy Statement: This Privacy Statement may change, and use of information that we gather now is subject to the Privacy Statement that is in effect as of the time of use. You are responsible for periodically checking our Privacy Statement. You may opt-out of any posted change to our collection, use or disclosure of your personal information by sending an e-mail to info@triprangodesivatemple.org. If we make minor changes to this Privacy Statement, the changes will be immediately effective upon posting the revised Privacy Statement to the website. If we make material changes to this Privacy Statement or in how we will use or collect your Personally Identifiable Information, we will prominently post a notification on our website of the changed Privacy Statement ten (10) days prior to implementing the change. The date at the bottom of this Privacy Statement is the date that the Privacy Statement is effective.